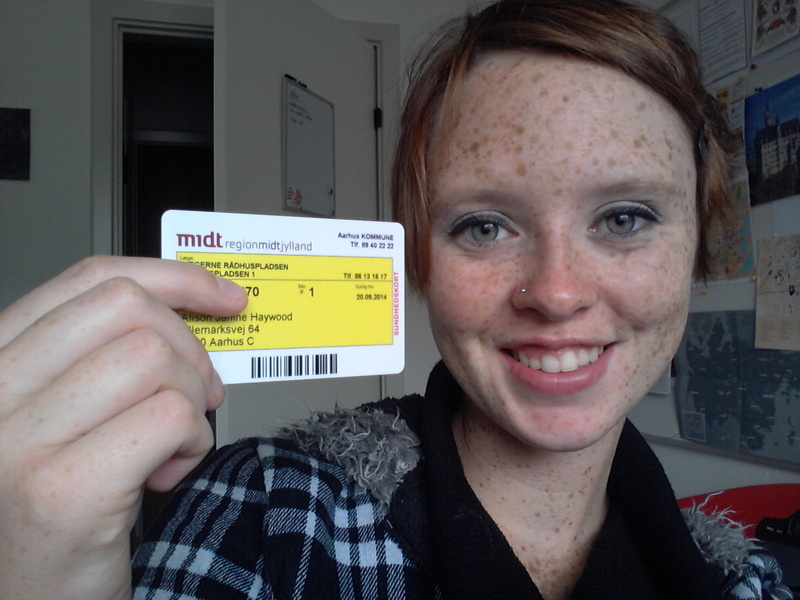 Yesterday finally received my Danish CPR card! No, it’s not a certificate for lifesaving medical techniques. It’s something like a social security number, but so much more. A CPR number is a state-issued identification number. You don’t literally need one to live in Denmark, but it’s quite difficult to get by for any amount of time without one. You need one to legally work in Denmark. You can’t open a bank account without one. You need one to log in to the Aarhus University online self-service (I was given a fake, temporary CPR number for this purpose), and when I tried to reload my prepaid Danish cell phone online, it wouldn’t let me because I didn’t have one. You need one to have access to Danish health care (that’s right – try not to have a medical emergency in Denmark the first few weeks you’re there) and even to check a book out from the library. Getting your CPR card is like a rite of passage for foreigners living in Denmark. While I still don’t have access to the social system, and I have to pay more for health care than Danish citizens, I am still eligible for a number of useful privileges I didn’t previously have access to. I’m basically an honorable Dane.